Saunders Yachtworks added long-term dry storage to its marine-related services. 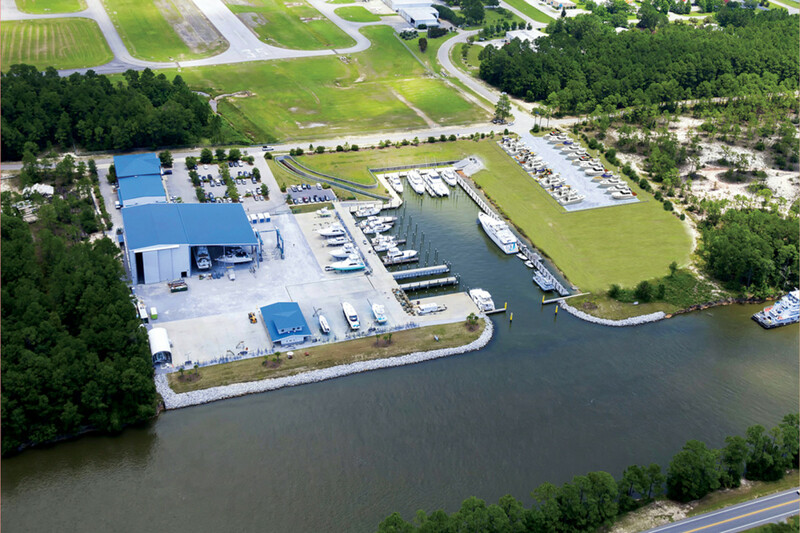 Saunders Yachtworks has a new 42,000-square-foot dry storage yard at its primary location in Gulf Shores, Ala.
Saunders CEO John Fitzgerald said customers will be able to store their boats for an extended period of time in a newly constructed dry storage yard at the company’s primary location in Gulf Shores, Ala., starting Nov. 1. “As the number of boats using our coast has increased, we have seen a corresponding increase in demand for out-of-water storage,” Fitzgerald said in a statement. “Our new yard expansion will provide a safe, secure and convenient place to store boats on the hard during times like hurricane season, winter months or any period our customers will be away from their boats and don’t want to worry. The 42,000-square-foot storage yard will accommodate power and sail boats as large as 50 feet inside a fenced perimeter with security lighting and power hook-ups. Customers will have the option of dry-docking their boats or leaving them trailered.